Welcome to Medaloni Cellars, twenty-two acres of rolling hills located in North Carolina's beautiful Yadkin Valley. Located 10 minutes outside of Winston-Salem, Medaloni Cellars is a beautiful addition to the Yadkin Valley wine trail to be toured by wine lovers from all over. Not only does Medaloni Cellars offer wine tastings, and tours, but it is also a venue designed to host events such as weddings, family reunions, birthday parties and other entertainment events! Enjoy a romantic sunset with views of the Blue Ridge Mountains as you sip on a glass of elegant Medaloni Cellars wine. 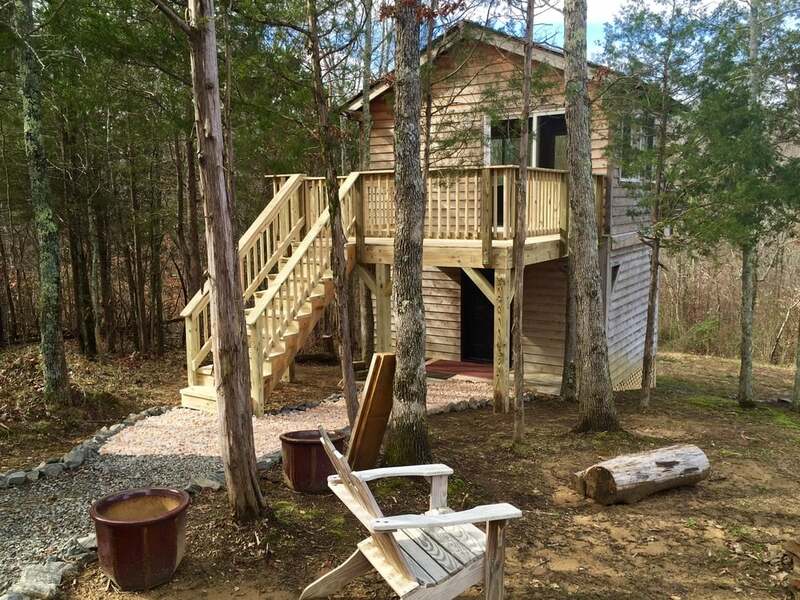 We even have cabins available for rent! A perfect, sweet get away for two! Watch the video for a quick tour! 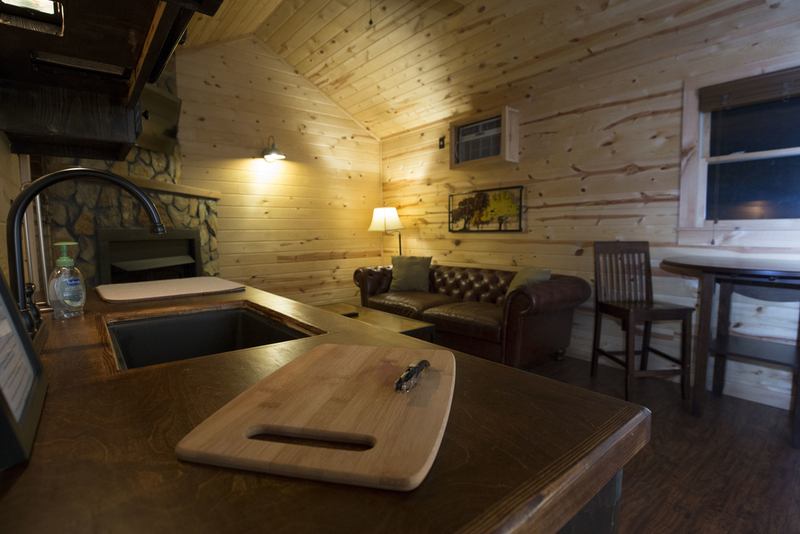 Medaloni Cellars has three beautiful accommodations for you to escape to. 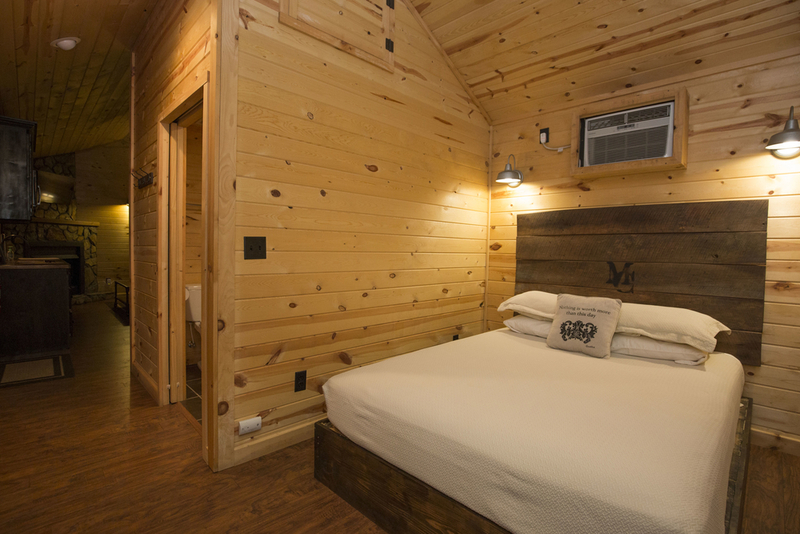 These modern-rustic cabins are designed specifically for couples only. 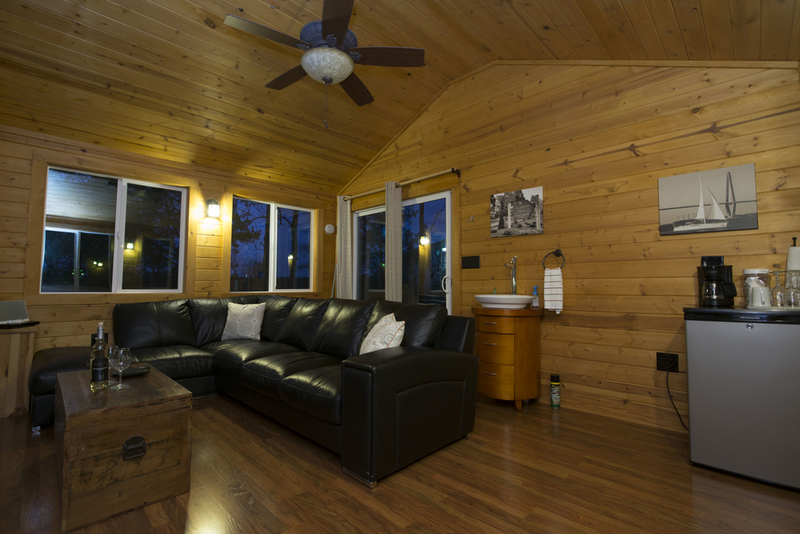 Spend your birthday, anniversary or just a fun weekend in one of these exquisite cabins. Make sure you pack some walking shoes so you can roam the property with your bottle of wine and your special someone! Cancellation Policy: 50% refund will be honored if cancelled within 7 days of stay. 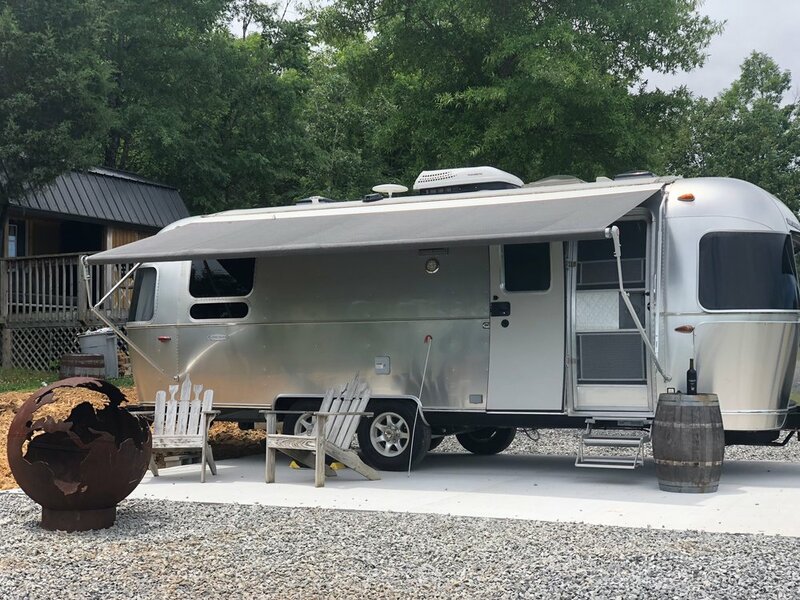 This incredibly sleek and fully equipped Airstream rental can be found just 15 minutes Out side of Winston Salem NC and right in the Heart of The Yadkin Valley Wine Country. Able to sleep up to Two guests, the interior of this Airstream was designed to reach optimum comforts for the inhabitants. There is a stationary queen-size bed located in the rear, while the sofa at the opposite end for lounging , making the whole Airstream able to accommodate everyone during their glamping stay. There is a convenient wardrobe so guests can easily store their belongings. 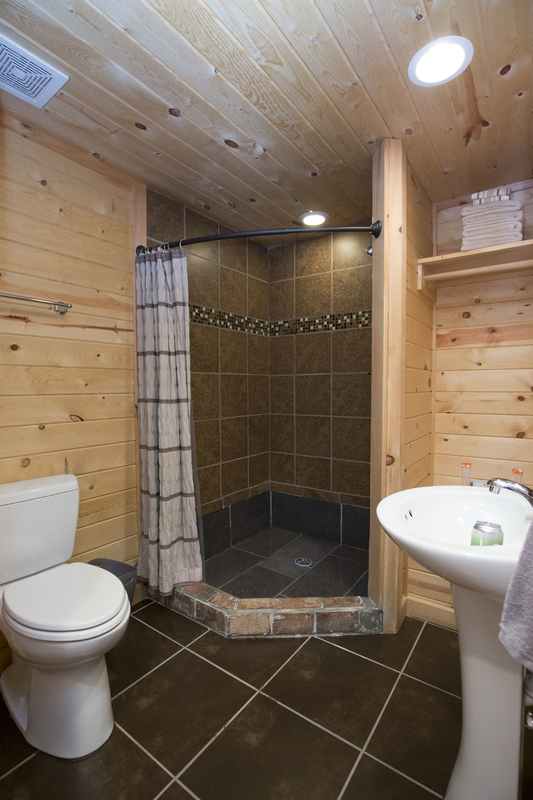 Guests who stay in this Airstream will also enjoy the luxury of an indoor bathroom, which features a toilet and a sink in one room, and a shower across the way behind another door. Two flat-screen televisions with basic Tv channels and DVD player can be found in the Airstream, one in the main sleeping area and the other in the dining space. 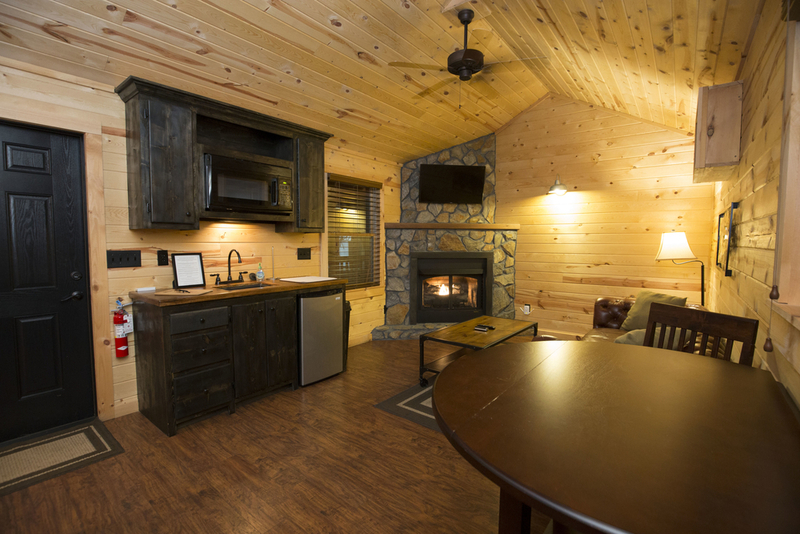 The kitchen amenities include a full-length refrigerator and freezer , microwave oven, and coffee maker with coffee for two . The dining space is found directly across from the kitchen and consists of booth seating. Wifi . Spend your birthday, anniversary or just a fun weekend. Make sure you pack some walking shoes so you can roam the property with your bottle of wine and your special someone!" At Medaloni Cellars you have the option of two different wine tastings each comprised of one ounce pours of tasty varietals. The Classic Tasting includes a tasting of five lovely wines. Secondly, there is the Premiere Tasting which includes seven wines and you get to keep your Medaloni Cellars wine glass! If you are adventurous, this is the wine tasting for you. Wednesday and Thursday: 1pm-6pm appointment recommended but not necessary. Medaloni Cellars has different food trucks on site from time to time and also offers delivery service from Ciccione's Italian Restaurant and The Greek Grill. You are also welcome to pack your own snack and make a picnic! We also have locally made snacks for sale! 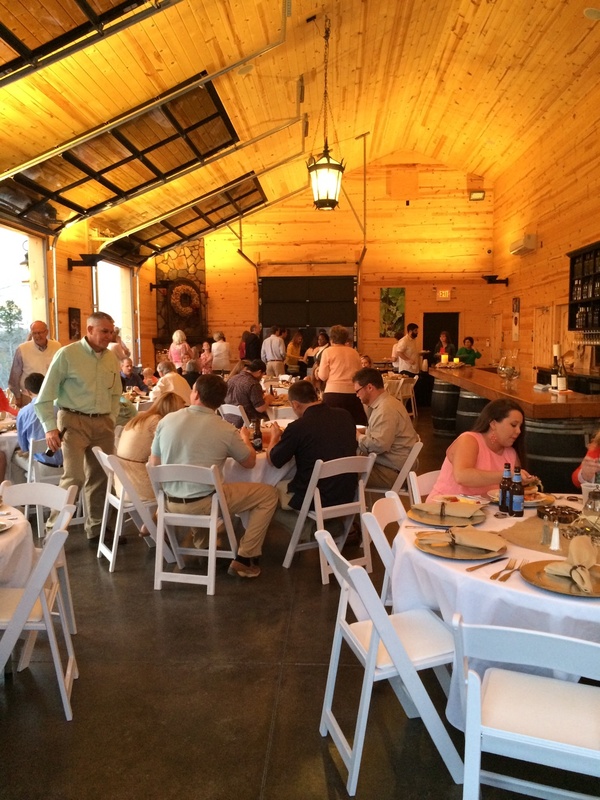 What is better than a blend of the beautiful scenery of North Carolina’s wine country, friends, family and wine? Nothing! Medaloni Cellars welcomes you into its homeland to share the beautiful amenities it has to offer your wedding or event. The property is strategically set up to accentuate the natural elegance of the 22 acre rolling hills and the views of unforgettable sunrises and sunsets. Quaint, but generous spaces of modern-rustic cabins, event spaces and ceremony locations are sure to make your special moments unique and memorable. At Medaloni Cellars, the sky is the limit. Everyone’s wedding day is special and unique and Medaloni Cellars strives to make your big day all you dream it to be. In addition to the picturesque natural backdrop crafted by mother nature’s hand, the property is a blank canvas for you to paint a live illustration of your dream wedding or special event. You have the option to hire your own wedding or event planner or allow us to help you each step of the way. Below is a basic break down of what is included in the property rental. Please keep in mind that prices vary based on your desires. Varying with size of event and hours of use. SCROLL BELOW IMAGE TO PURCHASE YOUR ADMISSION TO THIS FUN EVENT! Medaloni Cellars is located in the heart of Yadkin Valley at 9125 Shallowford Road in Lewisville, North Carolina. For bookings, tastings, tours, or general information, please email us at info@medalonicellars.com.